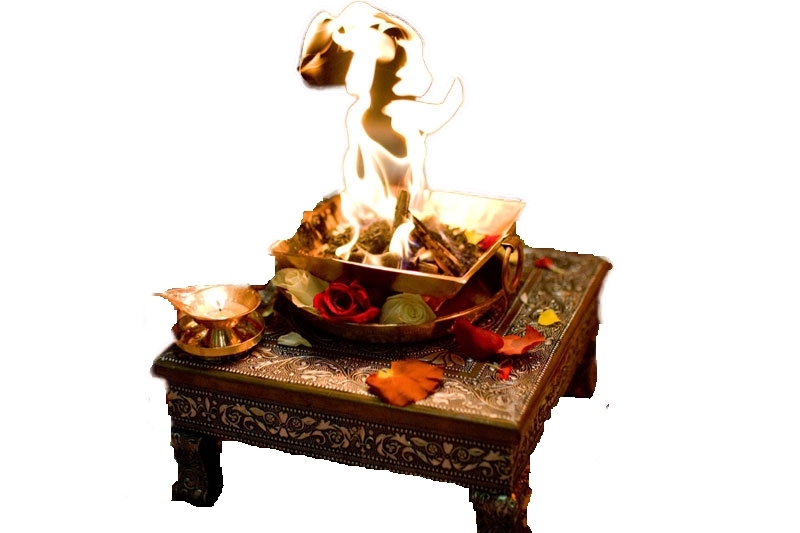 Applying fire to the herbal sticks (yagna Savitthu) with chanting powerful mantras and using Ghee as Fuel over auspicious place and time is called as Fire Therapy (Yagna or Havan). This therapy usually been performed by the Brahmins (Priest) community in the name of the people who are facing trouble and obstacle in life. However, this does not mean the performer should be in one place and the Brahmins doing Fire therapy in another place, both of them should be present in same location and time. The Brahmins has to perform two duties like chanting powerful mantras and offering herbal sticks on behalf of performer in the fire and the performer has to offer herbal sticks or ghee in the fire. Most important part of this therapy (Yagna) is collecting the Ash generated after successful completion of this therapy and using this Ash as per the astrologer’s recommendation. This part has to be performed if not you will not be getting the desired results as expected. Have good shower before sitting for Fire therapy. Avoid wearing western outfit for Fire therapy. Men should wear Dhotis (Indian cultural Outfit below waist level), Shayla (Indian cultural Outfit shoulder level). Women should wear Saree with blouse or Salwar / Chudidar (Indian cultural outfit). Fasting until full completion (start of therapy until consuming Prasad) is much required. For people who cannot do fasting like suffering from diabetes or old age people then they need to avoid cooked food and just have fruits and milk. The performer and his relative who done the Fire therapy has to return to their house only and not to go to any one else house. Performer of fire therapy as to avoid Alcohol, especially non-veg for next 48 days from the day of therapy performed. To get more effect from the therapy. This therapy requires your time, money and dedication. In addition, it needs to be perform during auspicious date and time as recommended by the astrologer. Nobody has to perform any fire therapy without consulting renowned astrologer as it may give adverse effects instead of giving benefice results. There are specific fire therapies based on the problems one facing in his / her life, which decided by checking the birth details, by the astrologer.